Rich Kraetsch: The patriarch of this here website, managing editor, co-host of the VOW Flagship podcast who recently turned 30-years-old and is very depressed by it. Follow him @VoicesWrestling. John Carroll: Look, John is on every single one of these damn things, if you don’t know them by now you never will. Follow them @toshanshuinla if you like bad things. Andy LaBar: Once ran through all WWF No Mercy 64 Championship Modes with Al Snow. Has been a frequent guest on the Burning Spirits Podcast, likes to write about old dudes beating each other up and can be found awkwardly ending threads on twitter @trillyrobinson. Katsuyori Shibata (c) vs. Zack Sabre Jr.
Rich Kraetsch: On paper, Shibata and Sabre sounds like a dream match. Yet, both times we saw the two battle in 2016, it was disappointing. Of course, disappointment is relative. Do we expect too much from these guys? Did we go in with unrealistic expectations? Perhaps. There also exists a world where guys just don’t have great chemistry with one another. It happens. 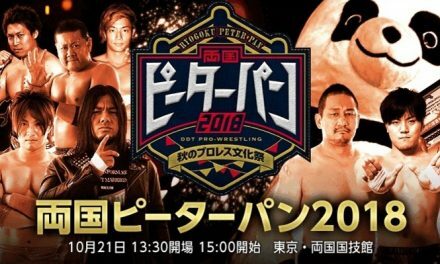 Either way, Sabre’s debut in NJPW is a big deal. On it’s face, it’s Zack Sabre Jr one of the best technical wrestlers in the world debuting in New Japan Pro Wrestling, that much is known. When you dig deeper, you see just how potential huge this is. I don’t think it’s an accident that Sabre is coming in on the precipice of NJPW’s global expansion and upcoming United States tour. 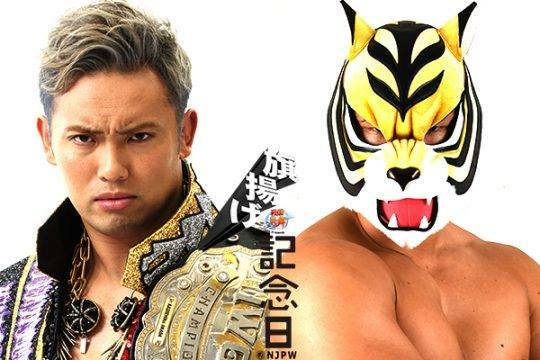 Likewise, Sabre is familiar to NOAH fans and as we’ve seen with guys like Go Shiozaki, Naomichi Marufuji and countless others, former NOAH wrestlers are extremely over in New Japan. 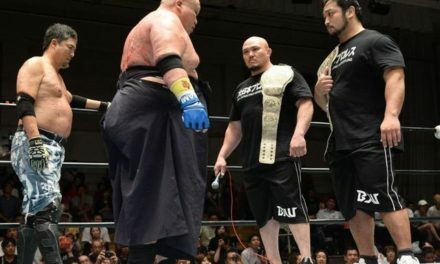 Yeah, those guys may carry a little more cache in Japan than Sabre but don’t be surprised if fans more easily take to Sabre than they would your run of the mill gaijin. New Japan can make the debut even more poignant with a huge title win over one of their established stars in Shibata. 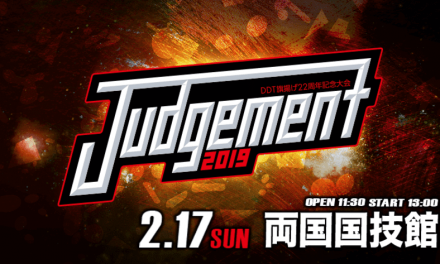 Prediction: Zack Sabre Jr.
John Carroll: I never saw Shibata/Sabre in the UK (yes yes I know, I’m awful, but I barely have enough time to keep up with my Japanese promotions, I can’t add another graps island sorry) so this match is new to me. It would shock me if this match isn’t good though, just knowing both guys, and it has the potential to be pretty great if everything clicks correctly. Now, as far as who wins, I have no idea. Putting Sabre over Shibata would definitely get people to notice him immediately (and from what I’ve read it’s what RevPro were building toward anyway?) plus free Shibata up to do whatever else he is going to do over the next few months (IC title challenge maybe? ), but at the same time do you really want to put a guy who was presented as a junior in NOAH for years over Shibata? I dunno. I’m gonna go with my gut and say Sabre wins but I could see this one going either way, to be quite honest with you. Prediction: Zack Sabre Jr.